Russian state media are reporting that staged footage purporting to depict Syrian government chemical attacks on civilian populations will receive broad dissemination via Western corporate media today, September 11, 2018. 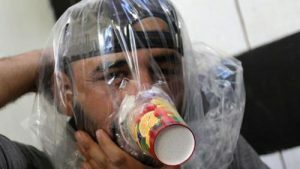 As the Russian Center for Syrian Reconciliation reported, all the fake footage of “chemical attacks,” designed to facilitate the implication of Syrian government forces, is expected to be sent to different TV channels before the end of the day. “According to the information received from inhabitants of Idlib province, militants are now filming a staged provocation in the city of Jisr al-Shugur, where “chemical weapons” are depicted as being used by the Syrian army against civilians. The film crews of several Middle Eastern TV channels arrived in Jisr al-Shugur in the morning, as well as the regional affiliate of one of the main American television news networks,” the Reconciliation Center said. The alleged psychological warfare maneuver comes on the 17th anniversary of the massive false flag terror attacks on New York and Washington DC. The 2001 events were used as a pretext for a global US-led “war on terror” resulting in the wide scale devastation of Afghanistan, Iraq, Libya, and Syria, millions of civilians deaths, and all at a cost of untold trillions to US taxpayers. Sent in May 2016 to every household: We have just received from a Arret sur info reader this flyer calling for donations, distributed in letter boxes by Amnesty International’s Swiss Section. The flyer leaves no doubt about the outrageous political bias adopted by the NGO from the beginning of the war in Syria. We denounce this misleading campaign that comes at the detriment of the Syrian people. The Syrian state is the only secular state in the region, and Amnesty is combatting it, seeking the overthrow of the Assad government. This means imposing on Syrians the destruction of their state, and bringing armed groups, who want to establish an Islamic state, to power, the groups supported by obscurantist regimes like Saudi Arabia, Qatar, and Kuwait. For the sake of argument, let me concede at the outset that it is a plausible fact that the US does not directly supports the Syrian militants, it only sets the broad policy framework and lets its client states in the region, like Saudi Arabia, Jordan, Qatar, Kuwait and Turkey, do the actual financing, training and arming of the Syrian militants. For instance, although the US openly provides the American-made antitank (TOW) weapons to the Syrian rebels but it has strictly forbidden the aforementioned clients from providing anti-aircraft weapons (MANPADS) to the militants, because Israel frequently flies surveillance aircrafts and drones and occasionally carries out airstrikes in Syria and Lebanon and had such weapons fallen into the wrong hands, it could have become a long term threat to the Israeli Air Force. Lately, some anti-aircraft weapons from Gaddafi’s looted arsenal in Libya have made their way into the hands of the Syrian militants but during the initial years of the civil war there was an absolute prohibition on providing such weapons to the insurgents. Scott Creighton is American Everyman! The ever-insightful blogger and political analyst Scott Creighton of American Everyman joins James to discuss the unusual features of the Paris 11/13 terror events, their broader geopolitical implications, and Cass Sunstein-style disinfo techniques routinely employed by the major alternative media. On October 27, 2015, sixteen days before the November 13, 2015 Paris attacks, Central Intelligence Agency Director John Brennan, former UK MI6 Chief John Sawers, Director of the French Directorate for External Security Bernard Bajolet, and former Israeli National Security Advisor Yaacov Amidror met in Washington DC to discuss how to get rid of democratically-elected Syrian President Bashar al-Assad, particularly in light of recent Russian involvement in destroying “ISIS”–the US proxy army. 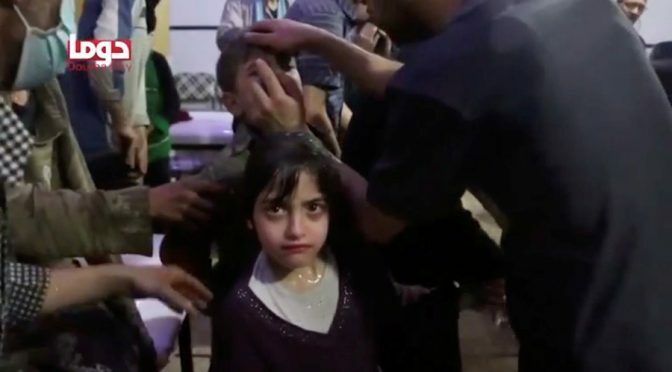 Two years ago this month Western intelligence and military attempted regime change of the Assad regime via a staged poison gas attack allegedly carried out by Syrian forces against their citizenry that was later proven false. After the CIA-backed ISIS was introduced as a ploy, the Obama administration is now similarly suggesting that the US will uphold “R2P” principles, by openly confronting the Syrian army “to help defend” the Syria people. In an excerpt from a 1990 C-SPAN interview with Brian Lamb, Dan Raviv and Yossi Melman, authors of the book Every Spy a Prince: The Complete History of Israel’s Intelligence Community (Houghton Mifflin 1990), describe (passage at about 2:40) how the Israeli Prime Minister’s Office officially refers to its subordinate organization “the Mossad”–Hebrew for “the institute” and denoting Israel’s most well-known intelligence agency–as the “Israeli Secret Intelligence Service,” or ISIS, “interestingly enough [drawing on] kind of the British model” for referencing such government entities, Raviv remarks.